… And the course of the path of the moon is light to the righteous, and darkness to the sinners … – I Enoch 41:8, R. H. Charles’ translation. For “fun,” I’ve been poking at the Google Newspaper Archive and Wikipedia, and trying to dig up some more articles / background info. Inspired by Ken Hite’s “The Dracula Dossier,” I briefly thought I might phony up a whole, physical mock dossier, but that would be a lot of work, so I’m just going to post my copy-pasted bullet points. The idea is that you can use this ‘raw material’ to flesh out some RPG thing you’re writing background for. Periodic alien visitation, ancient alien satellite left in orbit, prehistoric human space-faring evidence, etc. Maybe change the names / dates / locations if you need to. I’ve got most of the Black Knight Satellite ‘events’ on my list, and I’ve added some more arguably ‘relevant’ material. If you were more industrious than I, however, you could easily print out the photos, and print the articles on newsprint and put them in a folder. Ideally, you’d have some supporting ‘memos,’ and similar period paperwork. Could be a neat ‘artifact’ for your players to find. TeePublic Shirt Sale Ends Tonight! TeePublic is having a Super Shirt Sale, and it ends in 5 hours! 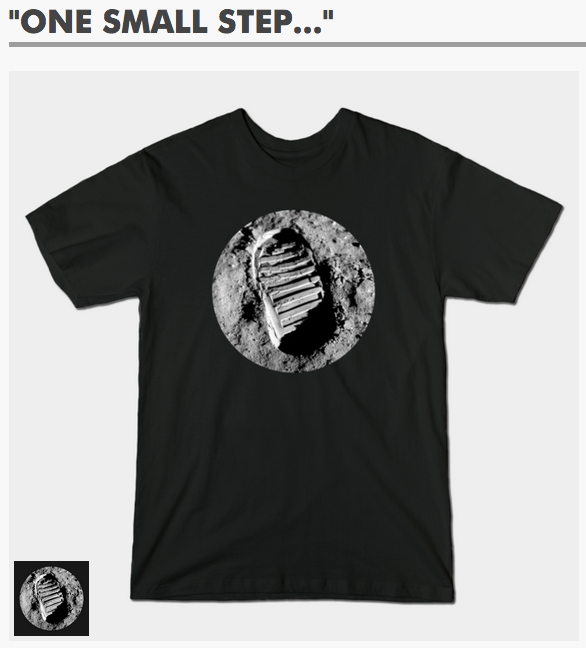 Shirts start at $14, which is about HALF what Zazzle charges for a dark shirt. Now’s your chance: Only 42 shopping days until Chrisumasu! La Teepublica Teeshirtiana, Estado de Ekliptico. 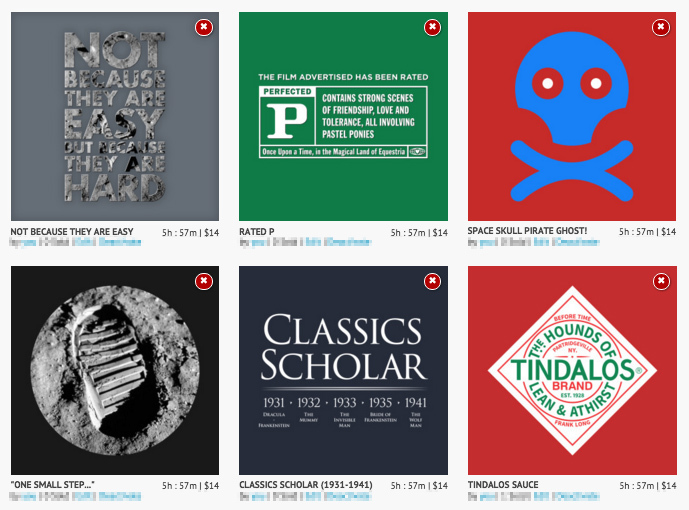 Author Staff WriterPosted on November 13, 2015 Categories DesignTags Advertisement, Apollo, Lunar, MLP, monsters, moon, Shirt, Space Kook, TeePublic, TindalosLeave a comment on TeePublic Shirt Sale Ends Tonight!